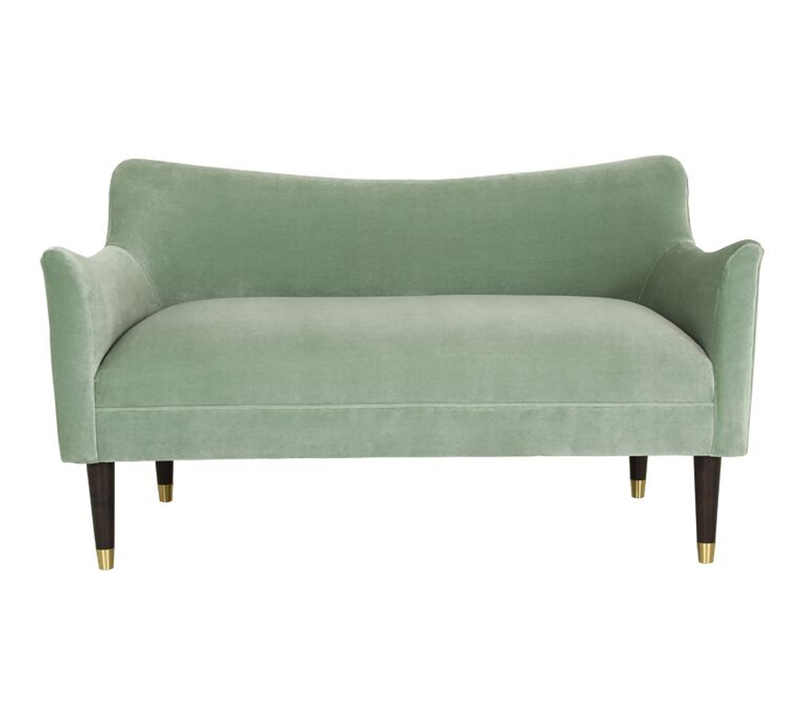 A sloping back and arms give the Alexander settee from Norwalk Furniture immediate visual appeal, with a curvy silhouette that features a tight seat and back. It’s masterfully crafted with exposed, tapered legs that are capped with gold ferrules. Available in a variety of fabrics.